Rick Malon was born in St. Louis, Missouri and moved to Hilton Head Island, South Carolina after graduating from the University of Missouri. Rick and his wife Rami have an 8 year old son named Reese, who attends the Christian Academy on Hilton Head Island. They also have an 18 month old daughter named Rylan. Rick enjoys playing golf with his son Reese and has been a member of the PGA of America since 1998. He also enjoys spending time with his family, the beach, fishing and the Hilton Head lifestyle. Donnie Kunich is a 26 year Hilton Head Island resident. He is married to Teresa and they have three children, Dylan 17, Haleigh 13, and Cooper 7. He relocated to Hilton Head from Pittsburgh PA. with his family who came to the Island in 1983 to open several restaurant businesses. Donnie graduated from May River Academy, a private school in Bluffton. He attended USC on the Hilton Head Campus while working and running one of the families restaurants. He and Teresa married in 1989 and then opened their own restaurant business on the Island. After having their first child they sold the business and began working in the growing real estate industry. Donnie has extensive training at Del Webb over the past 13 years and his wife Teresa owns a staging business, Furnished with Style, which helps sellers prepare their homes for sale. He brings 17 years of Real Estate and Construction knowledge to Town Square Realty. For the past 13 years he has been a sales executive for Del Webb's Sun City in Hilton Head. He was the youngest sales executive, at the time ever hired by Del Webb to sell the homes in a retirement community. He was voted "rookie of the year" by his peers and has been a top producer each year thereafter, finishing in the #1 position in 2003 and 2004. He was elected to be a "Top Gun" which Del Webb considered to be their elite employees. Donnie is a South Carolina licensed residential builder and holds a South Carolina Brokers license. His knowledge of sales in the Sun City community paired with his knowledge of the construction of the homes will benefit any buyer or seller. 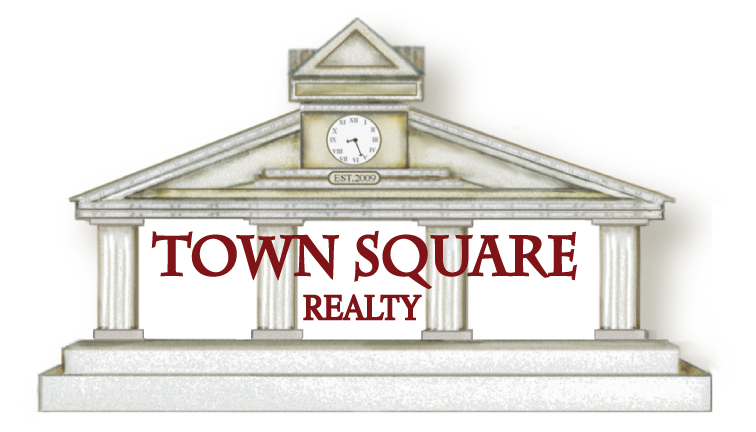 Why choose Town Square Realty? Donnie Kunich and Rick Malon have 23 years combined experience as real estate professionals selling homes for the developer Del Webb at Sun City Hilton Head in South Carolina. Combined they have sold 825 homes for Del Webb at Sun City Hilton Head totaling over 165 million in real estate closings. More importantly they guide every customer through the process of finance, construction, design and closing making many friends along the way. One of their many accomplishments was that Donnie and Rick were selected to be members of the Elite Top Gun program. Top Gun is made up of the top 1% of the Del Webb organization. Donnie and Rick received the highest real estate sales training and were responsible for training and mentoring all newly hired real estate professionals at Sun City Hilton Head. They were also members of the Presidents Club each year which is the elite group of the top sales professionals of the Del Webb organization. After a long and successful career selling new homes as real estate professionals for Del Webb at Sun City Hilton Head, Donnie and Rick felt as the new construction nears completion at Sun City Hilton Head, that their 23 years of training and success in selling every home model ever built at Sun City Hilton Head was a natural segway into owning and operating the resale office, Town Square Realty. They are specializing in reselling the homes at Sun City Hilton Head and the surrounding Hilton Head area including Beaufort and Bluffton, South Carolina. If you are considering buying or selling real estate at Sun City Hilton Head or the surrounding Hilton Head area, let Donnie Kunich and Rick Malon at Town Square Realty be your real estate professionals. They have the experience, knowledge, and enthusiasm to represent you when buying or selling your property. Thanks for visiting our web site. We look forward to helping you soon. Donnie Kunich and Rick Malon.